Here are some ways to move the eyes. It is a method often used for character things in cartoonistic expression. 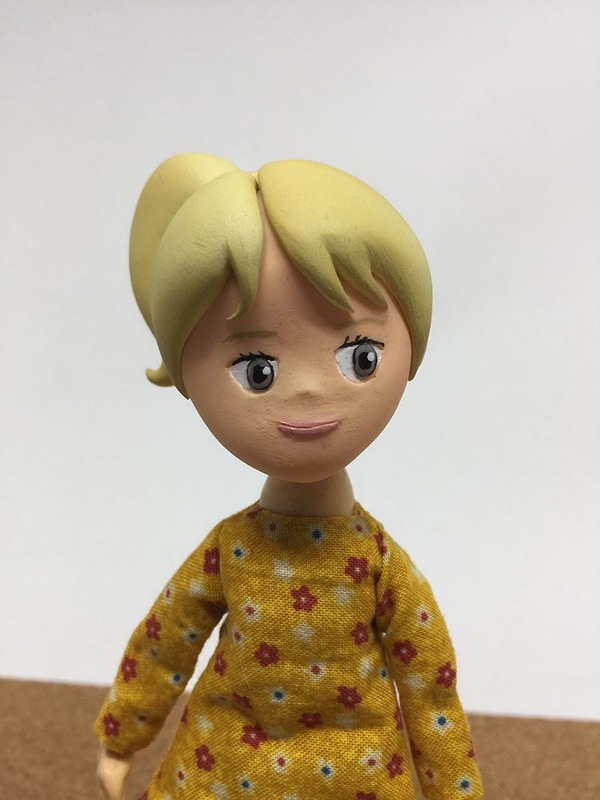 fix the eyes on the face with double sided tape or pin. 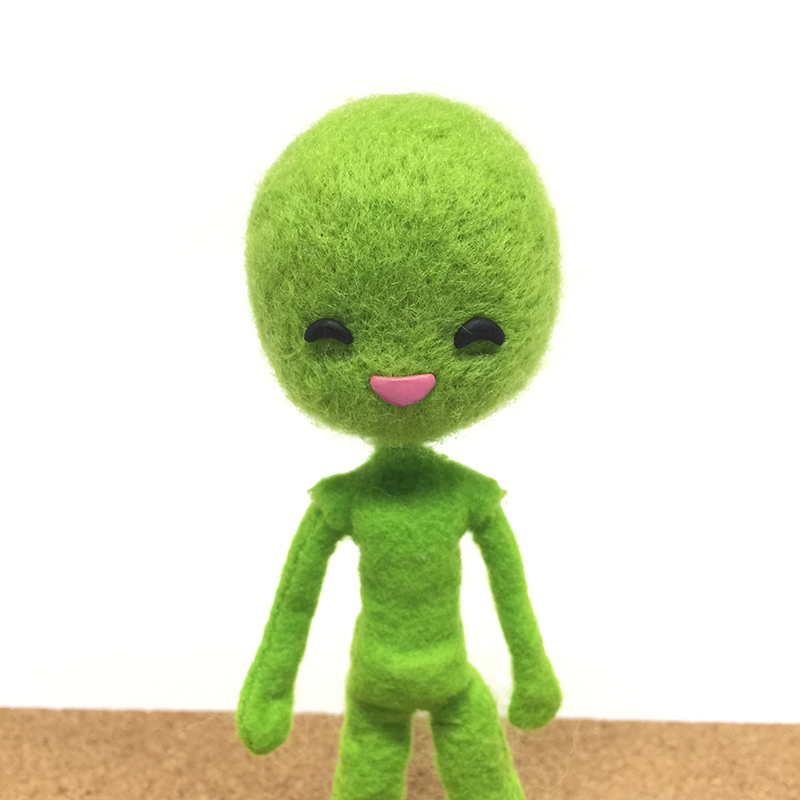 Make some patterns, such as anger eyes and crying eyes, and animate while replacing them. 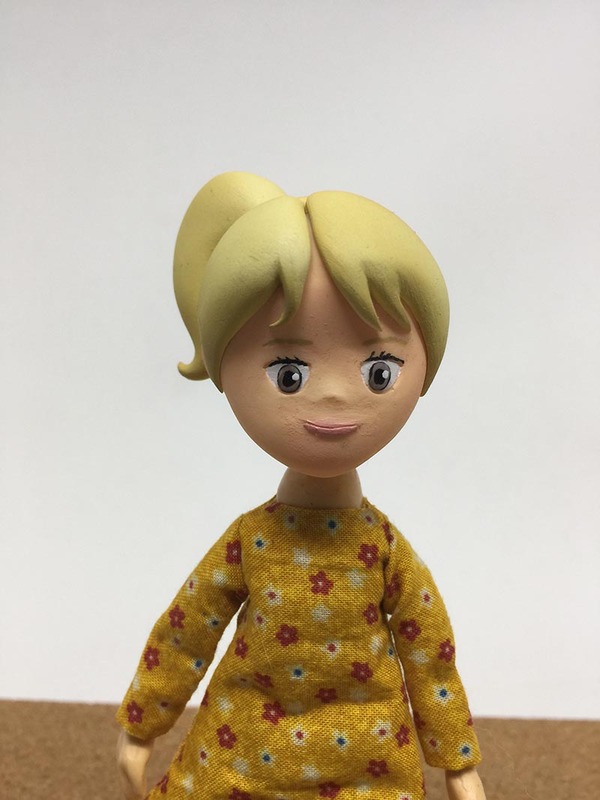 It can be used widely from characters to human, mainly used in clay animation. 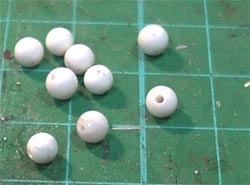 You can use spherical ones for eyeballs, but you can do it easily by using something like a bead with a hole opened from the beginning. 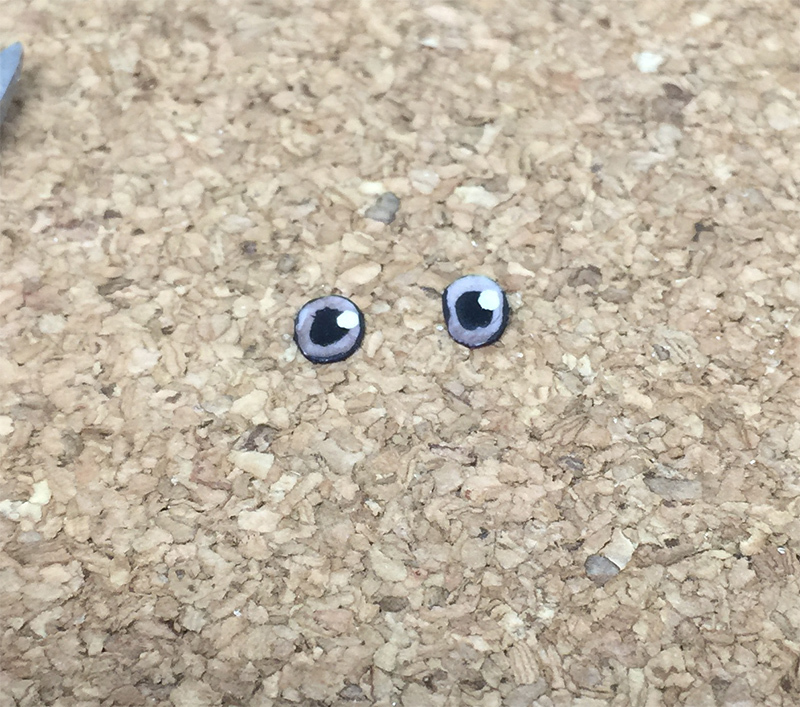 Draw a black eye on the beads. Let the hole come to the center of the black eyes. Make a dent that will be put eyeballs on the face. 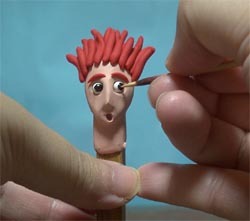 When animating, insert a stick such as a toothpick in the hole and change the direction of the eyeball. 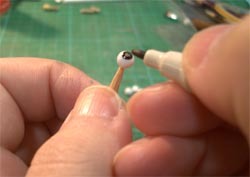 It is a technique used for dolls with white of the eye. 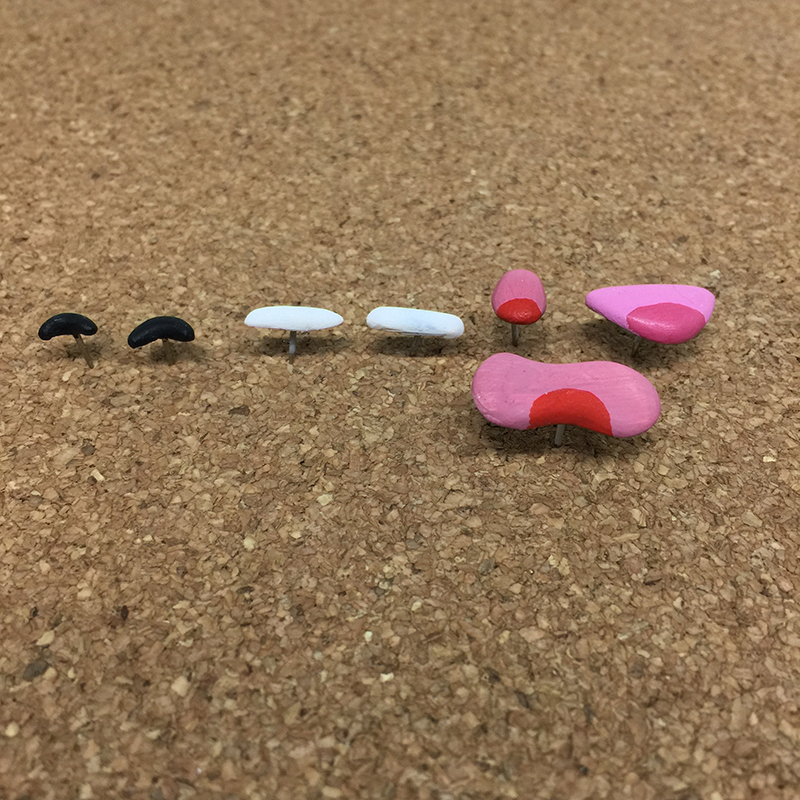 As for the iris, if you use the one that cut out the plaque as it is, the end will float, so use whatever is swollen according to the white of the eye curve made by heat press. Prepare a hard one close to the white of the eye curve. 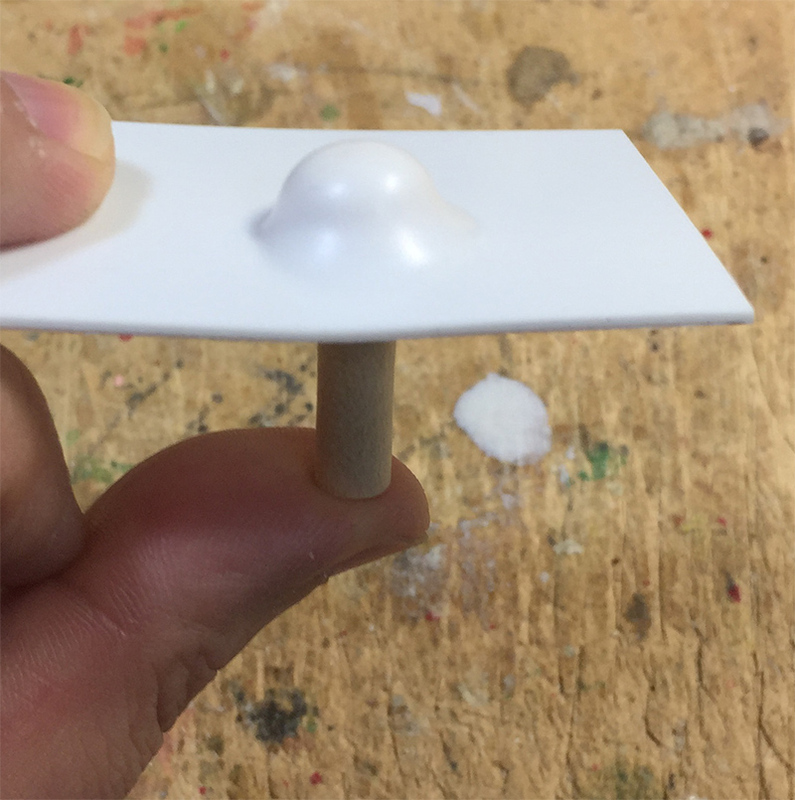 Prepare a plastic plate with a thickness of about 1 mm. then heat it with a lighter while being careful not to scorch. And press it against the white eye mold. 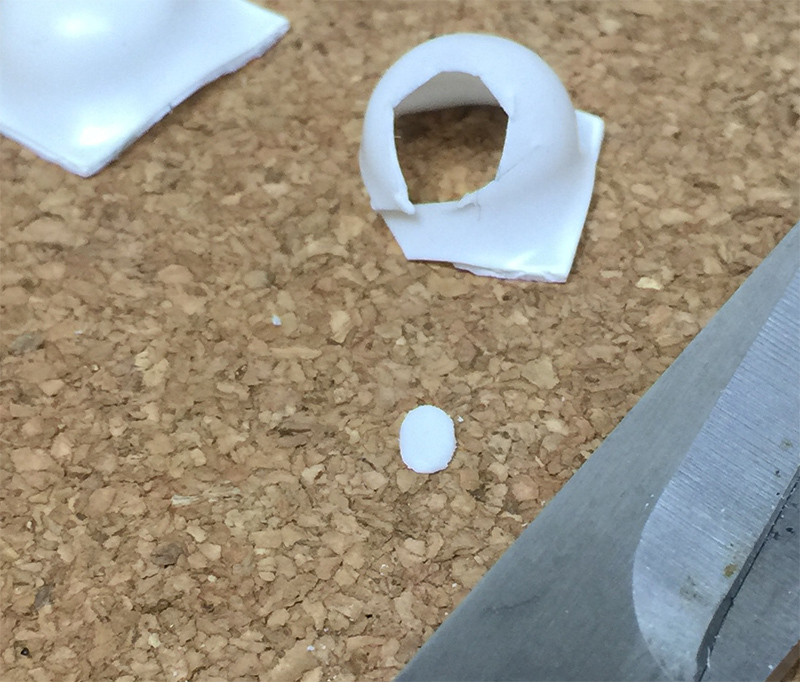 Cut the plastic part with the scissors in the size of the iris and shape it with rasp. It is colored and completed. When pasting it on the face, use paper bond or double-sided tape. 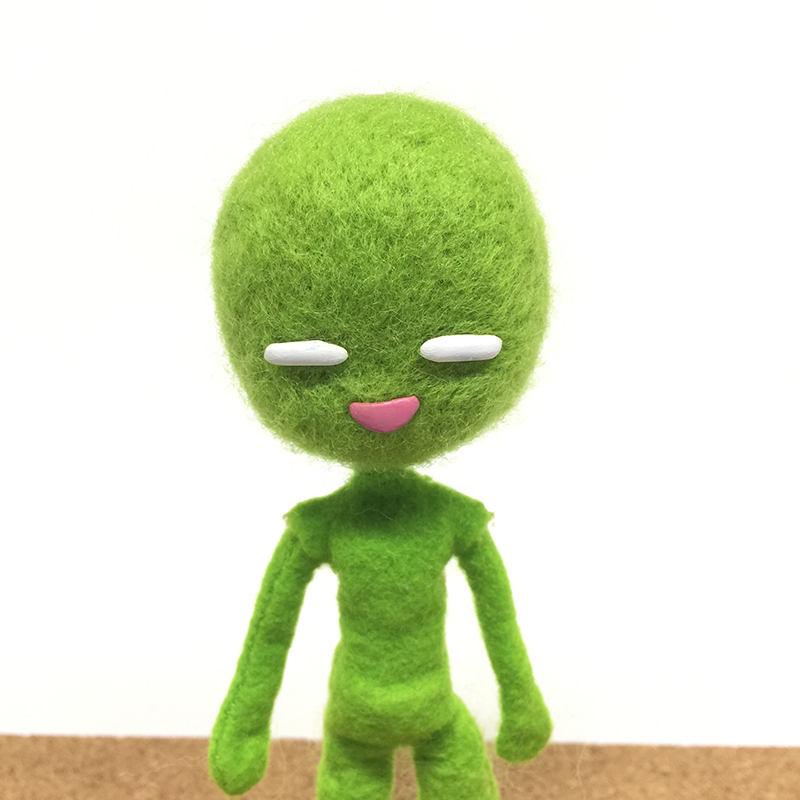 When animating wink, It will be made several patterns of eyelids and replace them one frame at a time. 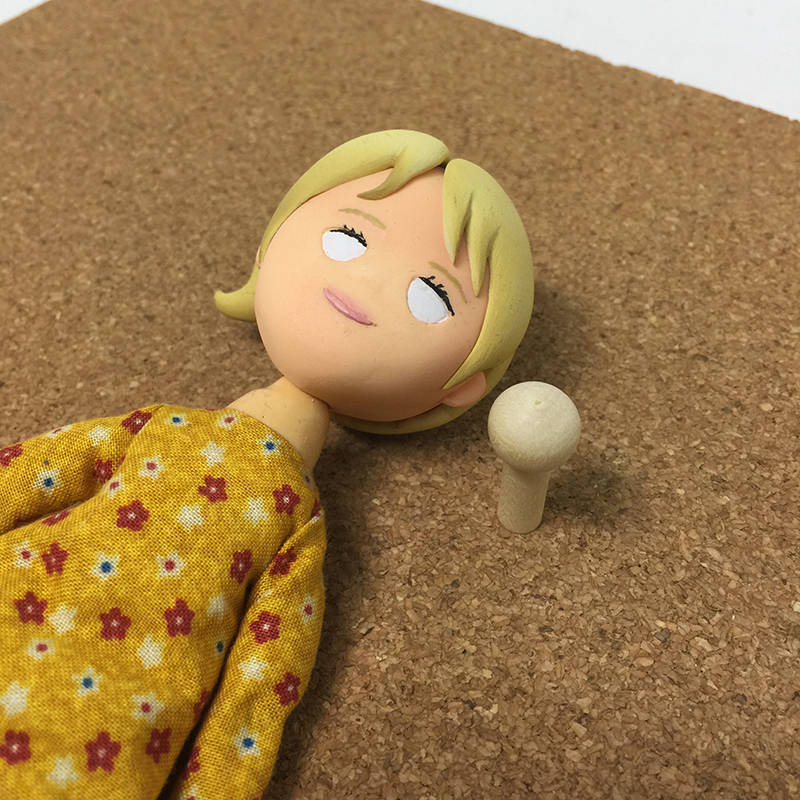 the number of eyelids is decided from the character design and personality. If it is an active character it is better to do it quickly 3 patterns? Or if you are leisurely, how about 5 patterns? like that. 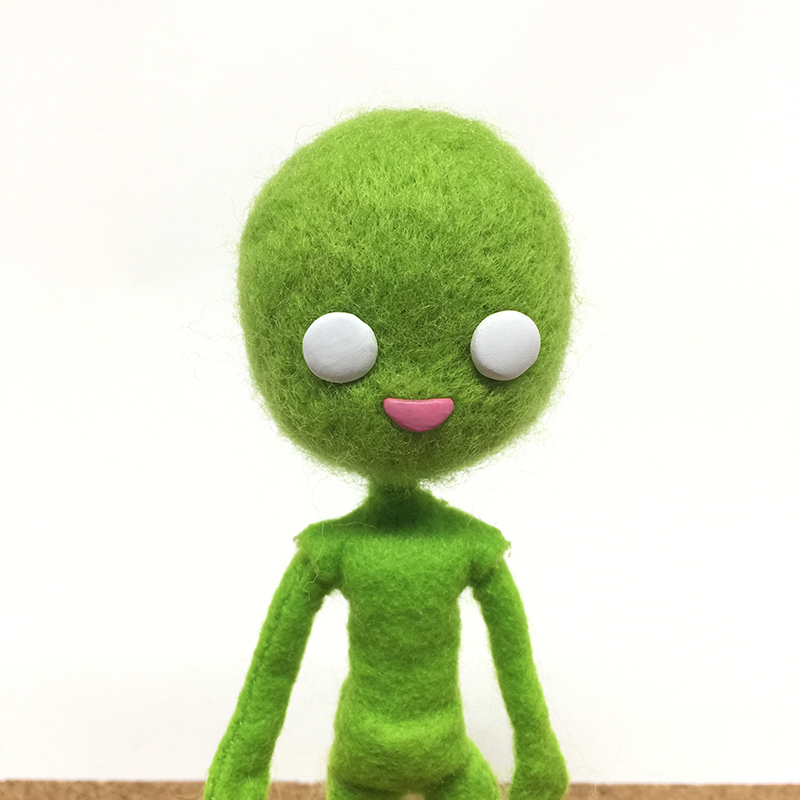 The eyelid’s material will match the material of the puppet’s face. If the face is made of clay, made eyelids with clay. If your face is made of hard parts, eyelids are made with plastic etc. in the same way as the heat press. When attaching the eyelids to the face, use double-sided tape cut thinly or paper bond.